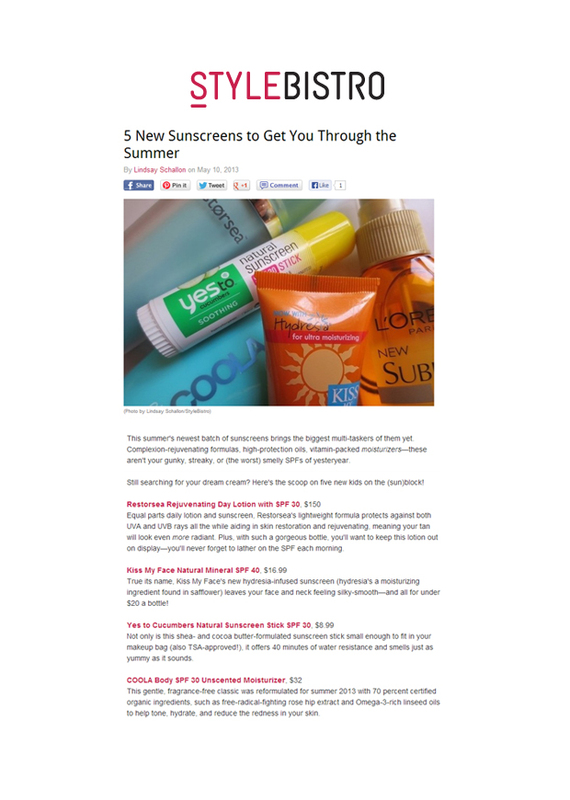 StyleBistro featured our Rejuvenating Day Lotion SPF 30 in a post titled "5 New Sunscreens to Get You Through the Summer." Associate Editor Lindsay Schallon says our lotion "protects against both UVA and UVB rays all the while aiding in skin restoration and rejuvenating, meaning your tan will look even more radiant. Plus, with such a gorgeous bottle, you'll want to keep this lotion out on display—you'll never forget to lather on the SPF each morning."